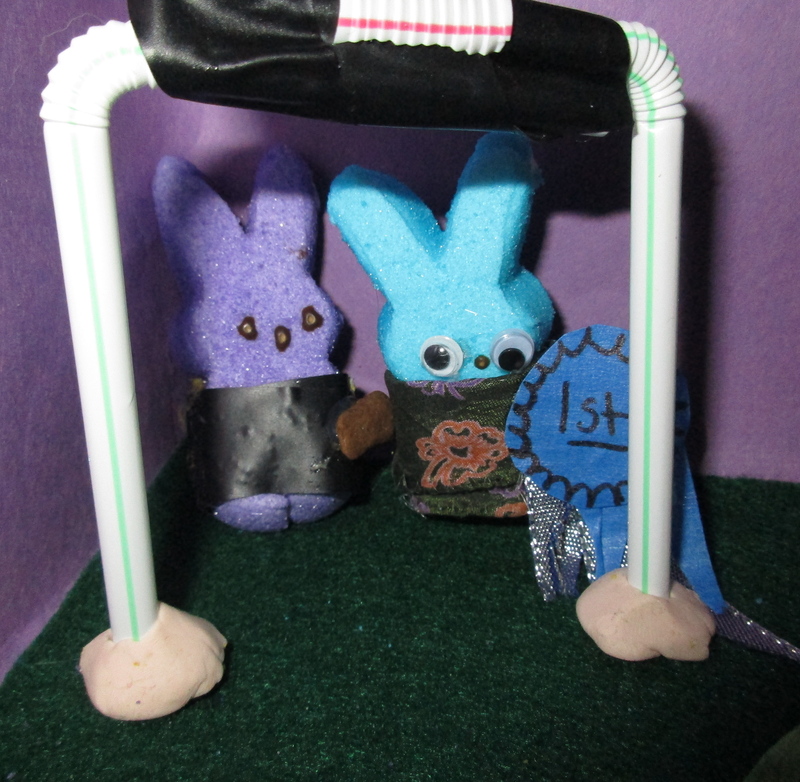 Every year, the Washington Post hosts its annual Peeps Diorama contest. It’s our favorite magazine spread of the year. We’ll never be as over-the-top as some of our favorite entries (which seem to be wired with electricity) but the kids and I do like to spend our spare time daydreaming in marshmallow fluff. 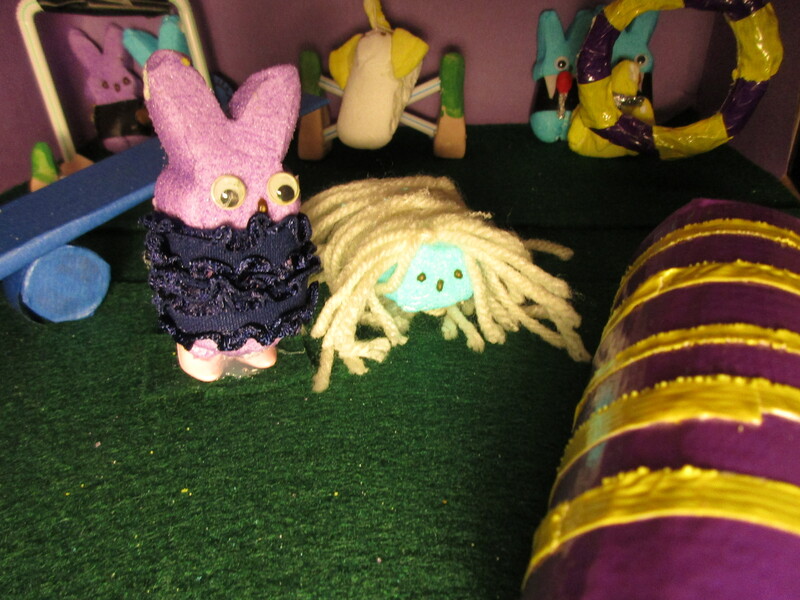 Then, of course, the deadline sneaks up on us, and we’re all: Wait, what? The deadline is TONIGHT? Last year my Star Trek entry made it in with only five minutes to spare. This year, we had four whole hours of breathing room. The idea for our 2016 diorama came from our friend Anamaria Anderson at Books Together, who thought it was an obvious choice given the recent publication of HOW TO BEHAVE AT A DOG SHOW and our February trip to the Agility Trials at Westminster. 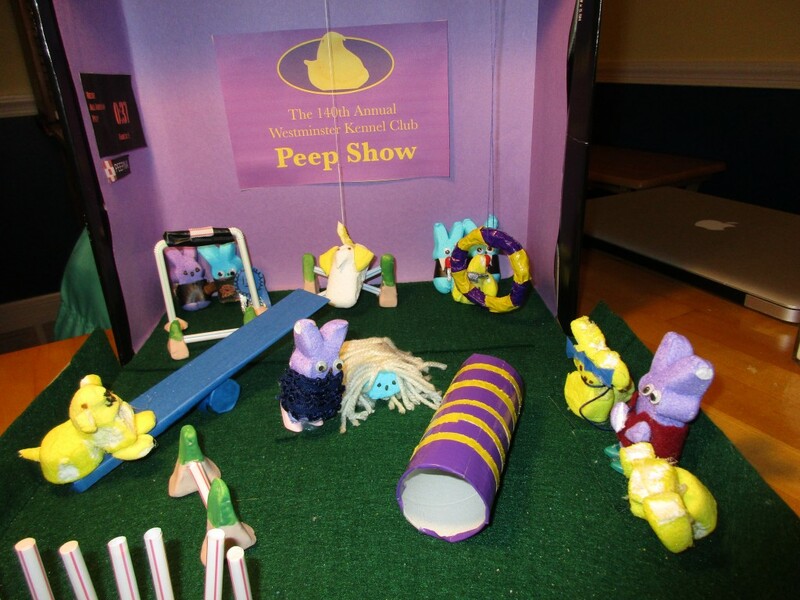 So I give you: The Westminster Peep Show. Perhaps a little reminiscent of Frankenweenie, but sometimes, that’s what you have to do. The judge, near the sensor, and the handler, with a treat. Photo is a little washed out, but the sign is a nod to sweet Rexie from How to Behave at a Dog Show. Should have gone over to the neighbors to borrow some fishing line, but went with straight up thread to show our beagle going over a jump. 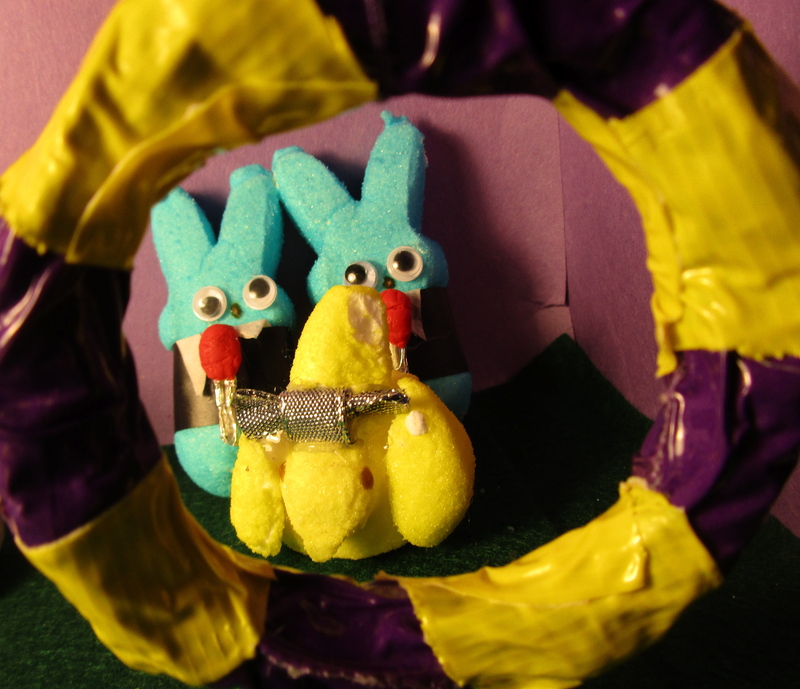 Our announcers, as seen through the hoop, accompanied by a Peep Tzu. This entry was posted in art, dogs, how to behave at a dog show, peeps. Bookmark the permalink. <3 <3! 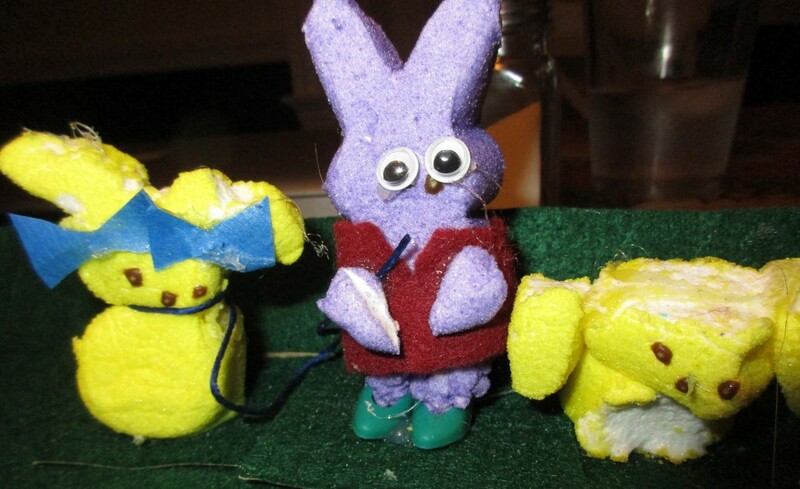 That Peep dog — so adorable!